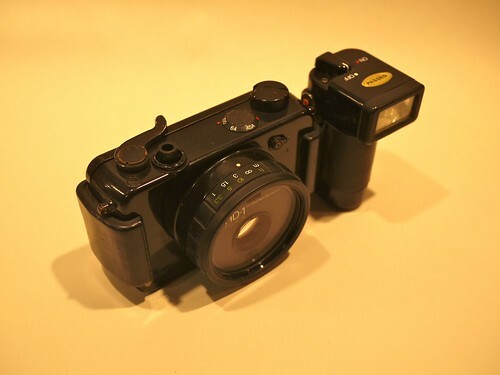 The Fujica HD-1 is a heavy-duty 35mm compact camera from Fuji, launched in 1979. It was the start of a series of weatherproof cameras for use on construction sites and rough terrain. The lens is a Fujinon 38mm, f/2.8 encased behind a large protective window, and it required zone focusing.